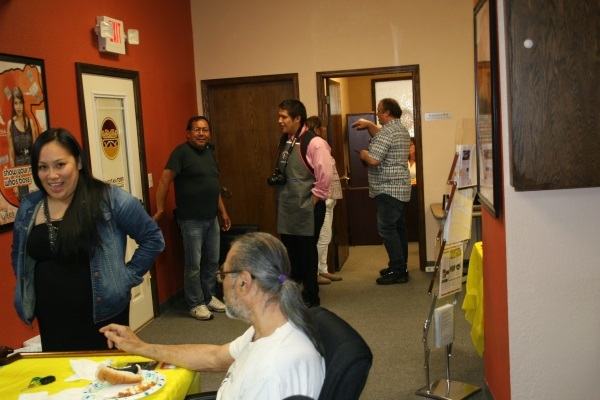 On June 20, First Nations Community Financial (FNCF) held an open house to introduce their new Fresh Start Loan. A similar product that this replaced was the Credit Repair Loan. “Clients have requested a need to get their credit cleaned up with higher lending amounts at a lower cost. We listened and produced the Fresh Start Loan,” said Senior Finance Officer Francesca J. Bird. “It was a great sunny day to have a cook out for our existing and, hopefully, upcoming customers to help put them into a greater financial position to fulfill their dreams,” she said. “We enjoyed brats, hotdogs, cake and sharing the new and exciting changes being made to meet the requests of our customers. Both our new and senior staff enjoyed a meal with the many people that stopped in and shared additional news of the mortgage loans coming soon,” Bird said.